Make your dream come true in the old west by creating a horse ranch, running a cattle operation or simply living in the great outdoors! This secluded mountain valley property borders Forest Service, BLM and Utah State Lands with picturesque views of ponderosa pines, quaking aspen, cedars, and wildlife. 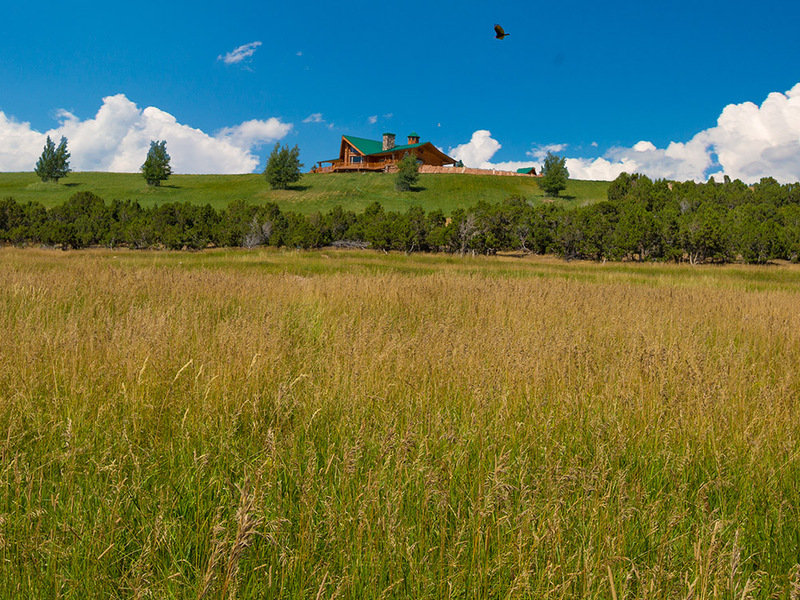 It features 4,000± acres with decreed water rights, grazing pastures, 7 pivots, BLM grazing permits, and a beautiful log home. An Albert Burney representative will be available daily from September 24th thru auction Day between 10:00 AM to 4:00 PM. For more information call (800) 434-1654. The auction will be held at 11825 West Deep Creek Road Vernal, Utah. Ten percent (10%) down Auction Day with closing on for before October 31st. Certified funds in the amount of: $2,500.00 for Parcel #6; $5,000.00 per parcel for Parcels #5 & #7; $10,000.00 for Parcel #1; $25,000.00 for Parcel #8; $35,000.00 per parcel for Parcels #3, #4, #9, #10, #11, & #12; Parcel #2 (Home) – $40,000.00 and $250,000.00 for the entirety will be required to register to bid, 10% down on auction day with closing on or before October 31st. The certified funds may be in the form of a Cashier’s Check made payable to the bidder, or a personal or company check with a Bank Letter of Guaranty. This property will be offered in individual tracts, combinations or as an entirety. 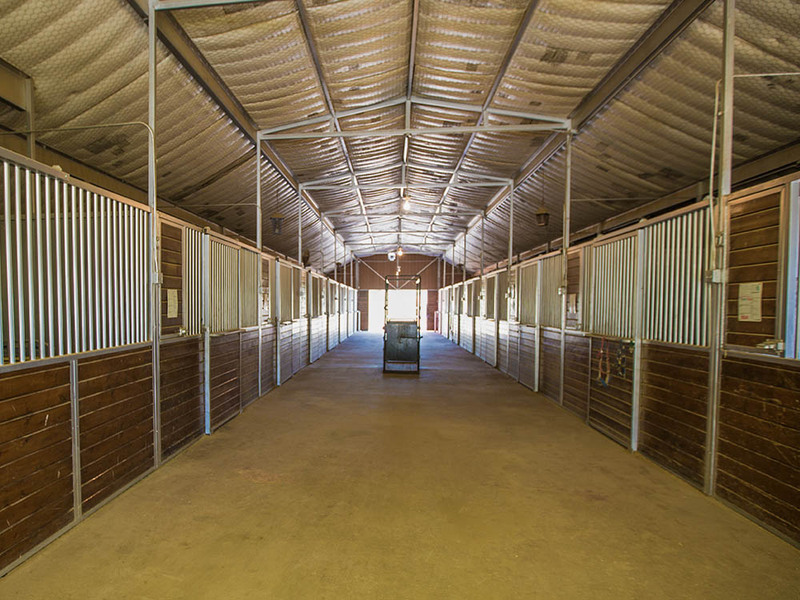 The property also features a horse barn, 5/8 mile race track and just about everything you would need for the race horse operation of your dreams. 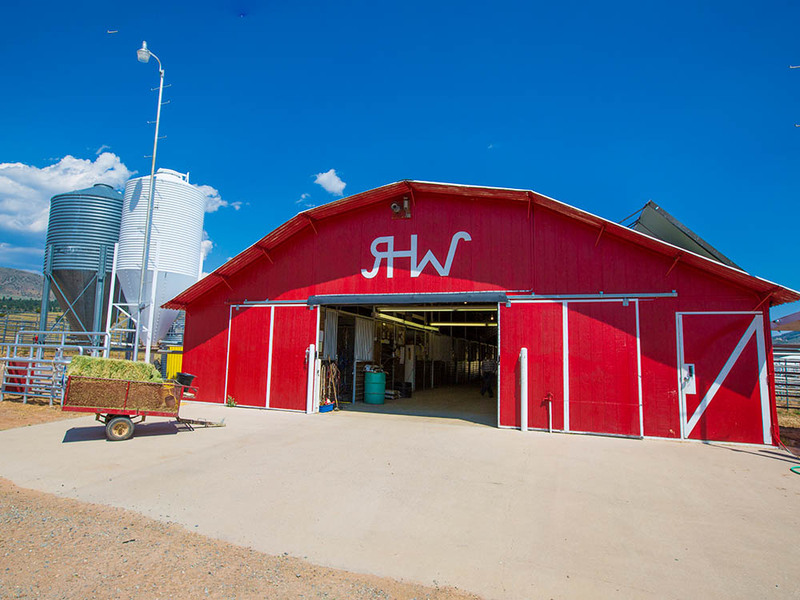 It can support a 300-400 pair cattle operation year-round, including tractors, farm equipment, paneled stalls and huge covered hay shed. There are houses for ranch hands, horse stalls for foaling horses or cattle and a majestic log home with 360 degree views of Deep Creek. 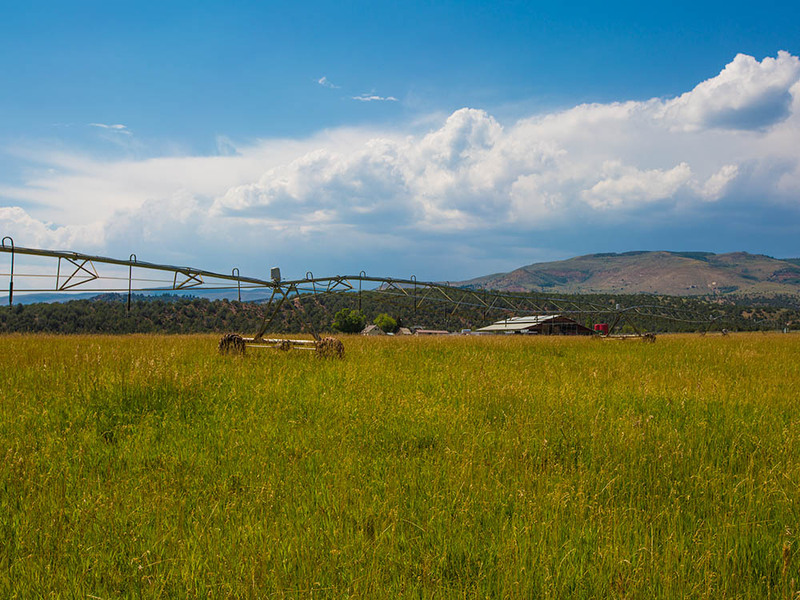 Additionally, there are 7 pivots irrigating land for hay production, green pastures for grazing and enough irrigation and drinking water to make it all happen! 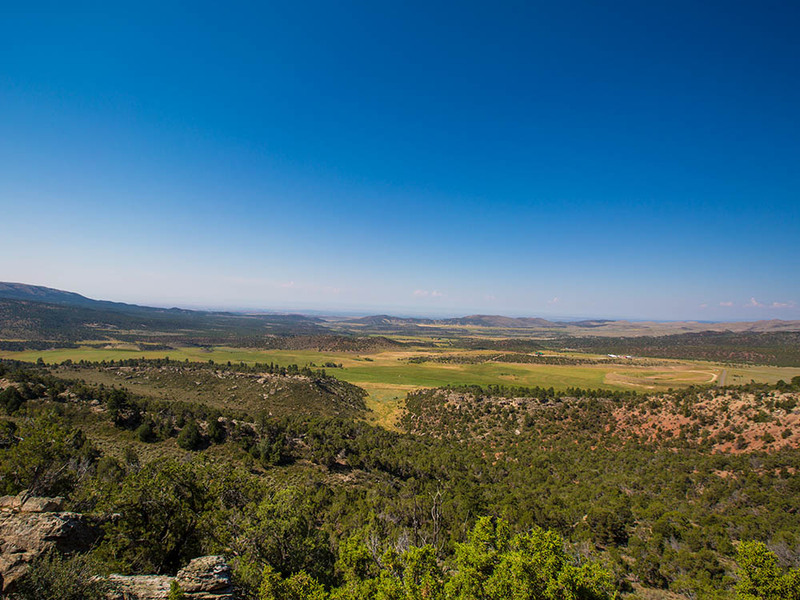 The beautiful land of Vernal, UT abounds with hunting opportunities: fishing, fly-fishing, deer and elk hunting opportunities. 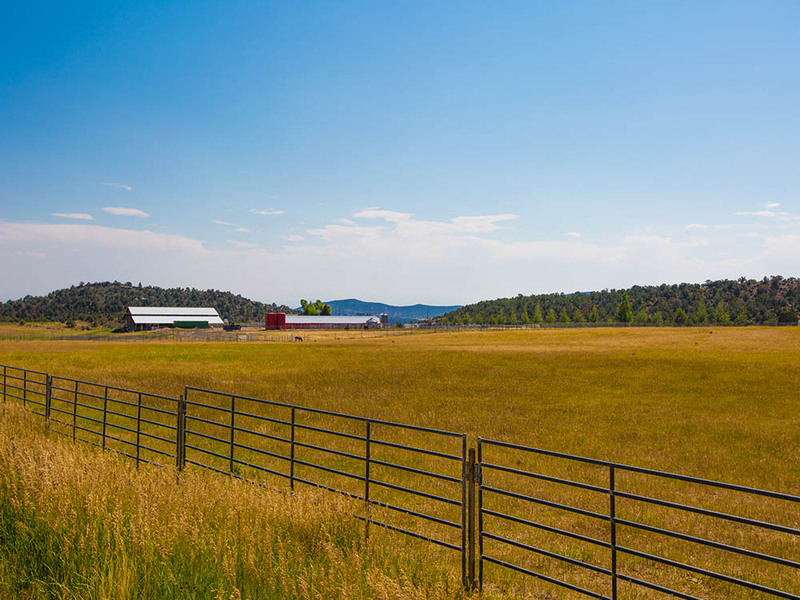 With 12 distinct parcels, there is a wide range of possibilities for land division, including several gentleman’s ranchettes, a custom log home, irrigated land, pastureland, and recreational tracts. 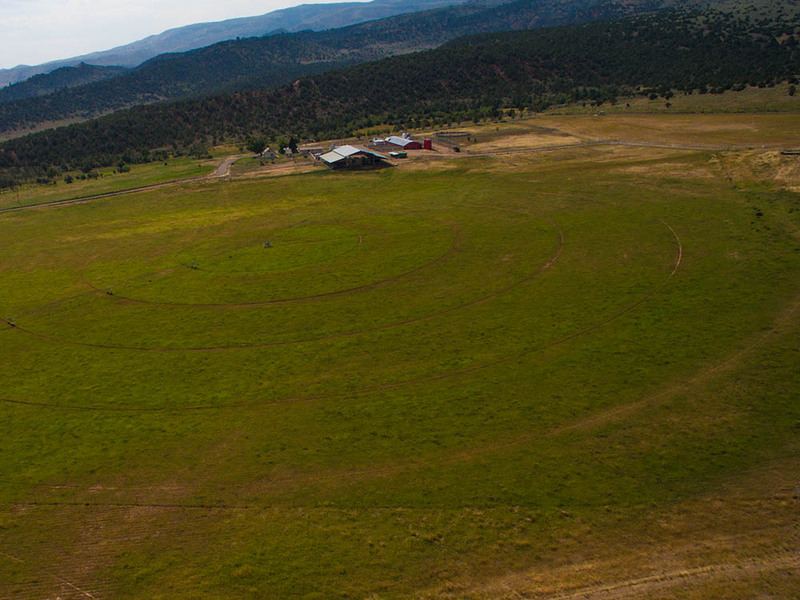 Parcel #1 – 118± acres, with 3 ranch houses, 105± by 110± ft hay shed, 17 stall barn, out buildings & 2 pivots. 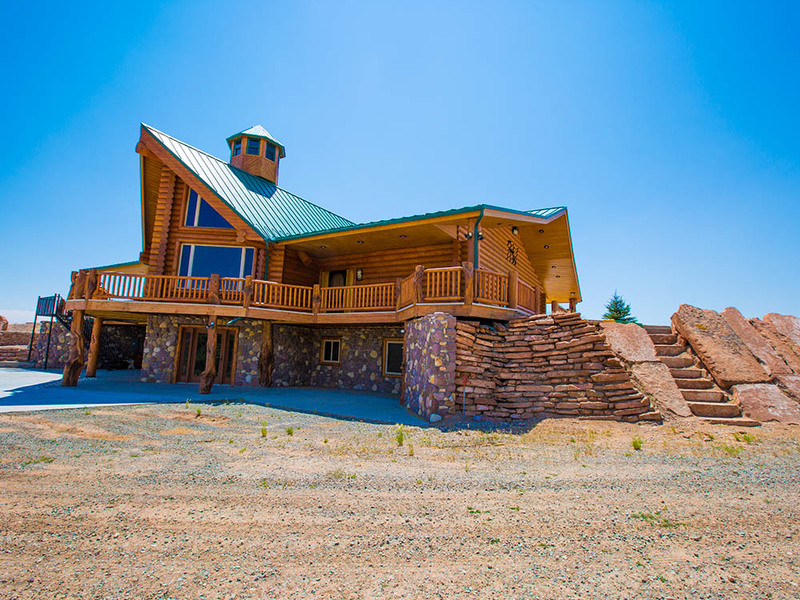 Parcel #2 – 39± acres, with a two story log home with approximately 5,830± sq ft with a wrap around deck. Built in 1998. Parcel #3 – 429± acres, 5 pivots & race tract. 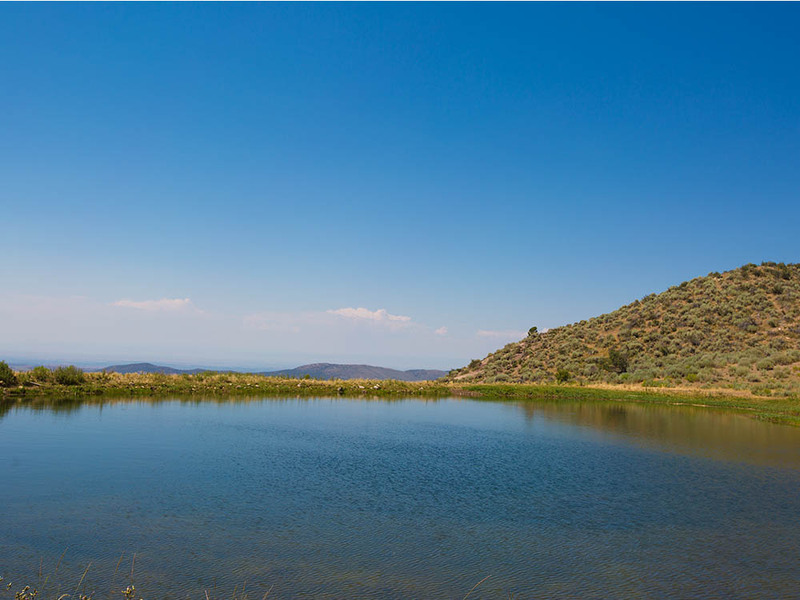 Parcel #12 – 291± acres with ponds & pastures. 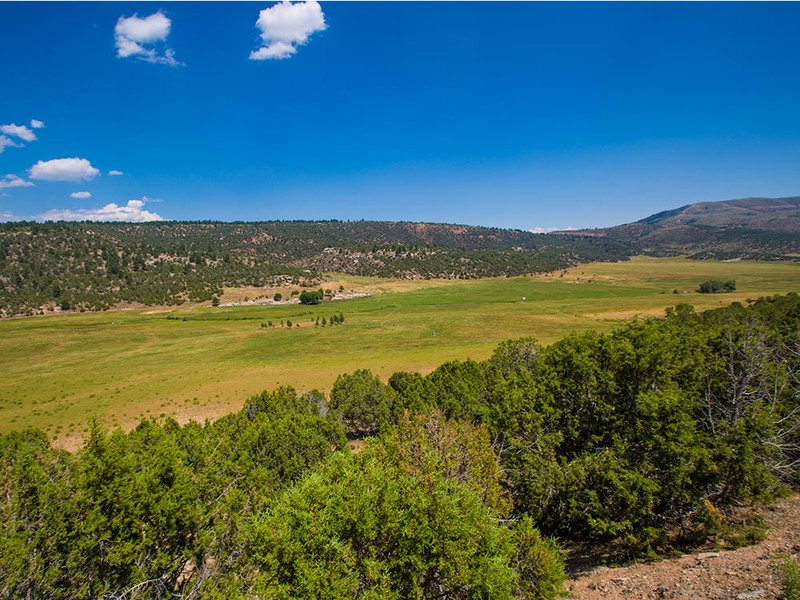 This tract comes with an additional 1,500± BLM leased acres. **Parcel #1 – Will receive a prorated portion of #43-786 – (the original Deep Creek Spring) which feeds pivots #1 & #2, barns, ranch houses. Parcel #2 – 43-10859 – An underground water well that supplies water for the Log House and the surrounding lawn. **Note- The Deep Creek Spring supplies all the water for the pivots and the pond in the center of the race track. If a buyer purchases Parcel #1 and Parcel #3 they would control all the use of the spring for the pivots. Don’t miss this opportunity to purchase your old west dream – at your own price!